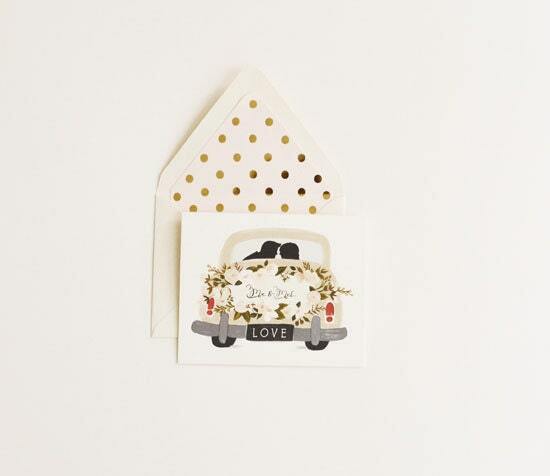 This note card features a super cute hand painted vintage style getaway car. For the Mr and Mrs! 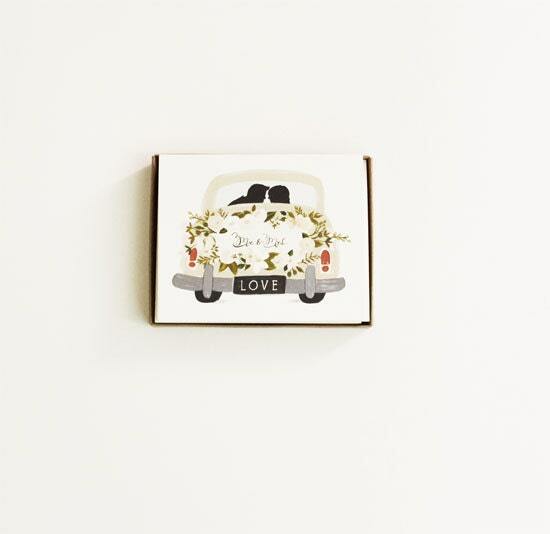 We thought these would be lovely as thank you notes!